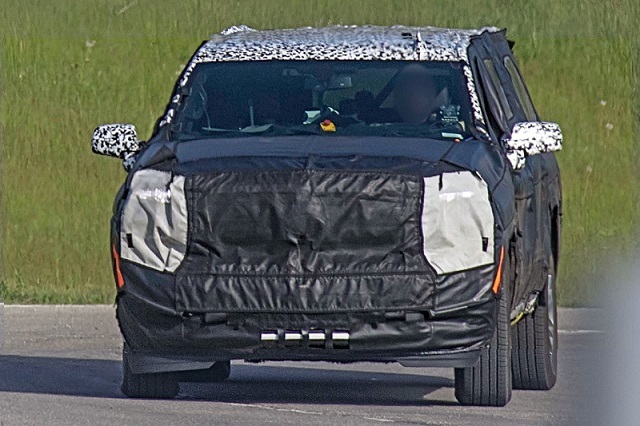 This heavy camouflage may prevent us to see what exactly the manufacturer plans to change on the exterior of the next-generation, 2020 Chevy Suburban, but essentially, we do know what’s cooking beneath. 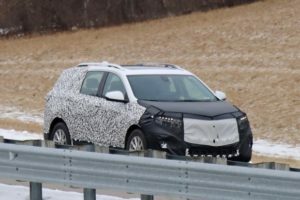 The full-size SUV is not going to be as heavy as it is now thanks to completely new bones. Plus, the American automaker will improve the iconic nameplate with a number of advanced technologies which are not available at the moment. 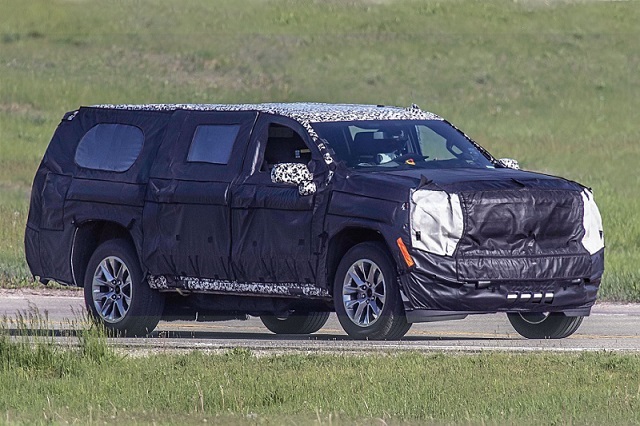 As far as we’ve heard, the totally redesigned 2020 Suburban will ride on the T1XX body-on-frame platform. The architecture for SUVs and pickup trucks is essentially an evolution of today’s K2XX. The main difference between these two is a switch to aluminum. The material will cut some important weight from the large vehicle. We don’t want to speculate, but according to the latest reports, the new-generation Chevrolet Suburban should have 300 pounds less than the predecessor. The camouflage is really heavy, so we can’t see what’s really happening. However, as we see it, the front end appears to have a lot in common with the new Silverado. Yes, the large SUV definitely shares the headlights and most likely the grille with the all-new pickup truck. The overall design is still pretty bulky and boxy, which is something we like. The full-sizer really needs to look like this. We’ve managed to see something interesting around back. The usual solid rear axle will no longer exist. 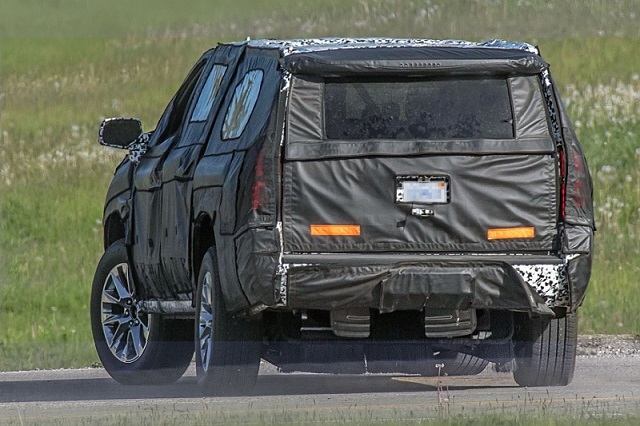 Instead, the prototype of the 2020 Chevy Suburban is using independent rear suspension. The feature is highly important because thus the SUV drastically improves comfort. There will be plenty of new options under the hood. Believe it or not, the automaker is getting ready to add a four-cylinder engine for the first time. The 4-cylinder Suburban won’t be as bad as you think. On the contrary, GM’s new 2.7-liter turbocharged inline-4 will deliver 310 horsepower and 348 pound-feet of torque which is more than enough even for the full-size SUV. Plus, the option will be fitted with cylinder deactivation, so fuel economy numbers should be pretty high. The four-cylinder option won’t be the only available mill under the hood of the next-generation Suburban of course. 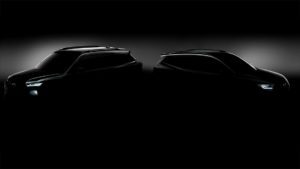 The iconic SUV will definitely use a 5.3-liter V-8 that will be fitted with an all-new Dynamic Fuel Management cylinder deactivation technology. The system fires from 1 to 8 cylinders depending on the situation, which will definitely bring certain MPG improvement. The topping 2020 Chevrolet Suburban will use the mighty 6.2-liter V-8 with 420 hp and 460 pound-feet of twist. The unit will get the same cylinder deactivation technology as the smaller V8, though everything will be on a higher level thanks to a 10-speed automatic transmission. The 5.3-liter engine will, on the other hand, use an 8-speed gearbox.